This entry was posted on May 22, 2013 by Rika Ashton. It was filed under Rika's Ramblings, Updates and was tagged with blog awards, deltora quest, guild hunter, harry potter, heart of obsidian, Jeaniene Frost, Kresley Cole, lothaire, lydia dare, Nalini Singh, nominee, pirates of the carribean, sword of truth, terry goodkind, up from the grave, urban book thief, winner. I think it’s Sahara Nightstar as well – she seems like the most obvious choice from the characters we’ve learned about so far, but I suppose it could be someone new. There’s a discussion going in at http://wickedscribes.wordpress.com/2013/05/20/heart-of-obsidian-excerpt-and-giveaway/ about who the heroine might be. Squeeee! I’m off there right now! Thanks for the tip. 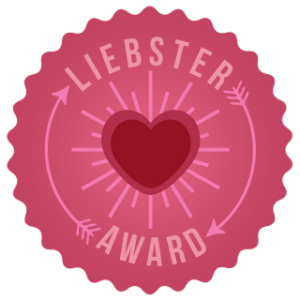 Hi there – thank you again for tagging me, and here is my Lovely Liebster post for your review and enjoyment…. http://badassromance.com/2013/05/25/a-blog-award-for-badass-romance/ Cheers!